Ray Ball studies corporate disclosure, earnings and stock prices, international accounting and finance, market efficiency and investment strategies. He is coauthor of "An Empirical Evaluation of Accounting Income Numbers," an article published in the Journal of Accounting Research in 1968 that won the American Accounting Association's inaugural award for seminal contributions in account literature. This article revolutionized the understanding of the impact of corporate disclosure on share prices, and of earnings releases in particular. It laid the foundation for much of the modern accounting literature. Ball also is the author of "Anomalies in Relationships between Securities' Yields and Yield surrogates," published in the Journal of Financial Economics in 1978, the first academic reference to systematic anomalies in the theory of efficient markets. Ball is a member of the Board of Trustees of Harbor Funds and Chair of its Audit Committee. He also serves on the Advisory Group for the Financial Reporting Faculty of the Institute of Chartered Accountants in England and Wales (ICAEW). He has served on the Financial Accounting Standards Advisory Council (FASAC) of the Financial Accounting Standards Board (FASB), and on the Shadow Financial Regulation Committee. Ball served as the Wesray Professor in Business Administration at the William E. Simon Graduate School of Business Administration at the University of Rochester prior to rejoining Chicago Booth in 2000. He has served as a professor at the European Institute for Advanced Studies in Management, and has taught at the London Business School, the Australian Graduate School of Management, and the University of Queensland. He received a bachelor's degree in accounting from the University of New South Wales in Australia, and an MBA in 1968 and a PhD in economics in 1972 from Chicago Booth. Ball was awarded honorary degrees by the Helsinki School of Economics, the Katholieke Universiteit Leuven, the University of Queensland, the University of London, and the University of New South Wales. He was elected to the Accounting Hall of Fame in 2009. The American Accounting Association honored him as its 2012 Presidential Scholar (together with Philip Brown) and in 2014 with its FARS Lifetime Achievement Award. In 2015, the Institute of Chartered Accountants in England and Wales made him its eighth Honorary Member. His interests include reading, cooking, wine, and clocks. Ball has been a Chicago Bulls fan for over 40 years. Reading, cooking, wine, clocks, still a Bulls fan. Financial reporting and disclosure; earnings and stock prices; international accounting and finance; market efficiency; the institutions of a market economy. With Philip Brown, "An Empirical Evaluation of Accounting Income Numbers," Journal of Accounting Research (1968), which received the American Accounting Association's inaugural award for Seminal Contributions to the Accounting Literature. "Anomalies in Relationships Between Securities' Yields and Yield-Surrogates," Journal of Financial Economics (1978). With S.P. Kothari and J. Shanken, "Problems in Measuring Portfolio Performance: An Application to Contrarian Investment Strategies," Journal of Financial Economics (1995). With A. Robin and J.S. Wu, "Incentives Versus Standards: Properties of Accounting Income in Four East Asian Countries," Journal of Accounting and Economics (2003). “Market and Political/Regulatory Perspectives on the Recent Accounting Scandals,” Journal of Accounting Research (2009). Book value of equity consists of two economically different components: retained earnings and contributed capital. We predict that book-to-market strategies work because the retained earnings component of the book value of equity includes the accumulation and, hence, the averaging of past earnings. Retained earnings-to-market predicts the cross section of average returns in U.S. and international data and subsumes book-to-market. Contributed capital-to-market has no predictive power. We show that retained earnings-to-market -- and, by extension, book-to- market -- predicts returns because it is a good proxy for underlying earnings yield (Ball, 1978; Berk, 1995) and not because book value represents intrinsic value. Accruals are the non-cash component of earnings. They represent adjustments made to cash flows to generate a profit measure largely unaffected by the timing of receipts and payments of cash. Prior research uncovers two anomalies: expected returns increase in profitability and decrease in accruals. We show that cash-based operating profitability (a measure that excludes accruals) outperforms measures of profitability that include accruals. Further, cash-based operating profitability subsumes accruals in predicting the cross section of average returns. An investor can increase a strategy's Sharpe ratio more by adding just a cash-based operating profitability factor to the investment opportunity set than by adding both an accruals factor and a profitability factor that includes accruals. This essay provides a retrospective view of one of Gene Fama’s many seminal papers, Fama, Fisher, Jensen, and Roll (1969). The paper was like none before it. Its contributions include (listed in what I regard as increasing order of importance): documenting share price behavior around the time of splits; implementing the first control for the market factor, hence creating the precursor to the influential Fama-French models; conducting the first event study; providing the first direct test of market efficiency; and demonstrating the wisdom and validity of Fama’s (1965) framing of stock price behavior in terms of information. The paper’s impact has been enormous, because at the time the research was conducted it was instrumental in reframing how we think about asset prices. This essay provides a retrospective view on our co-authored paper, Ball and Brown (1968). 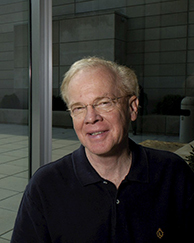 The retrospective was commissioned by Gregory Waymire, then President of the American Accounting Association. It describes how we both came to be PhD students at the University of Chicago and set about researching the relation between earnings and share prices. It outlines the background against which we conducted the research, including the largely a priori accounting research literature at the time and the electric atmosphere and radical new ideas then in full bloom at Chicago. We describe some of the principal research choices we made, and their strengths and weaknesses. We also describe the reception our research received and how the related literature subsequently unfolded. REVISION: The Global Financial Crisis and the Efficient Market Hypothesis: What Have We Learned? How Naive Is the Stock Market's Use of Earnings Information? REVISION: How Much New Information is There in Earnings? REVISION: What is the Actual Economic Role of Financial Reporting? This short essay is based on a presentation at the panel discussion on Big Unanswered Questions in Accounting at the American Accounting Association Meetings in 2007. It poses the question: what is the actual economic role of financial reporting? and discusses why this question is important, why it is unanswered, and what types of inventive research design are needed to help answer it. Examples are given of the types of questions involved. New: What is the Actual Economic Role of Financial Reporting? This short essay is based on a presentation at the panel discussion on "Big Unanswered Questions in Accounting" at the American Accounting Association Meetings in 2007. It poses the question "what is the actual economic role of financial reporting?" and discusses why this is an important question, why it is unanswered, and the types of inventive research design needed to help answer it. Examples of the types of questions involved are given.